Who is responsible for which content? Welcome to the MPIA students home page! The MPIA's elected student representatives are Simon Bihr, Michael Maseda and Thales Gutcke. If you have any questions or comments simply write them. The last elections took place in June 2014. 15 Sep 2011: All of the wiki now uses SSL-encrypted https connections -- check the corresponding sign in your browser. As soon as Mr Richter agrees, we can get rid of the old wiki accounts and log in with our normal MPIA credentials (still only for students, of course). 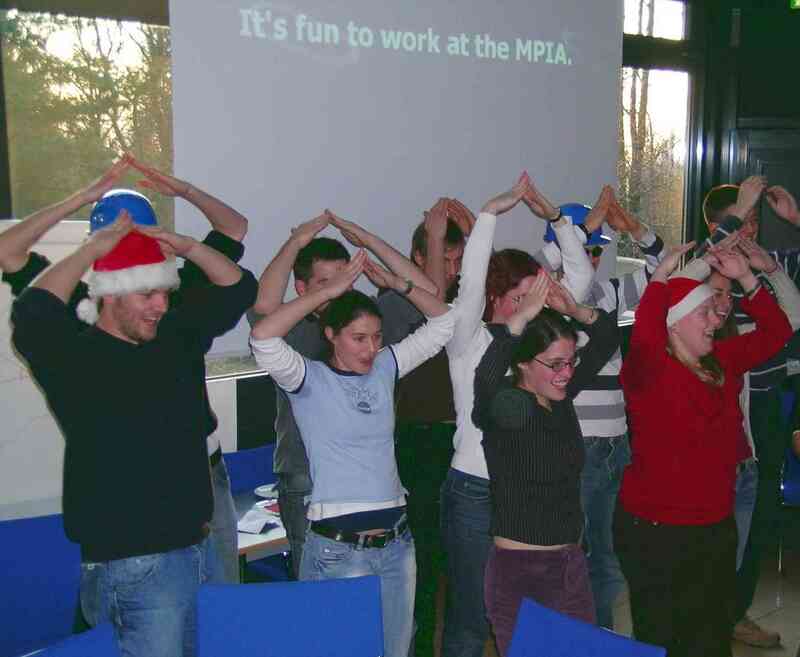 The PhDnet is the community of the PhD students of all institutes in the Max Planck Society. Its goal is to broaden interdisciplinary exchange between the MPIs and to give the MPS students a voice for common concerns. The PhDnet organizes interdisciplinary workshops, soft-skill seminars, publishes Offspring, performs Surveys and tries to bring together as many Ph.D. representatives as possible in its Annual General Meeting. The spokesperson of the PhDnet for 2011 is Raoul Axinte (MPI for Chemistry, Mainz). All pages except the ones in the group Internal are world-readable; to view the Internal pages and to edit any page one must be logged in. See Wiki Help if you need a user name and password.